Palliative care helps to improve the quality of life of the patient with a chronic illness. It helps to treat depression, pain, constipation, anxiety, shortness of breath, sleeping difficulty, nausea and any other symptoms that are associated with the illness. When used with treatment, palliative care has better outcomes for the patients and the caregivers. It is seen in the improvement in symptoms. Caregivers have fewer burdens, patient satisfaction, less use of intensive care and increase longevity. Patients and their families are given information and a chance to make decisions and be more engaged in care all through the trajectory of the illness. There is engagement and greater autonomy in decision-making. The open communication helps to address spiritual and emotional concerns and helps in setting goals and advance care planning. This ensures that as the illness advances, patients and their families can make decisions based on their goals and personal desires. A patient can get palliative care at any stage of the illness whether it is during diagnosis, during follow-up, during treatment or at the end of life. The care makes it easier for the patient to deal with the illness as it progresses and there is better management of symptoms. A team of nurses, doctors, and other specialists who are specially trained provide palliative care. They give extra support as they work together with the other doctors of the patient. Therefore, the patient gets both his/her doctor’s care as well as palliative specialists care. The palliative care team also helps with communication. They take their time to talk and listen to the patient, ensure that the patient understands all treatment options, coordinates doctors, and communicates to the family. A terminal or life-limiting illness comes with various problems that include physical problems, emotional, social, practical, and coping problems. There can also be spiritual issues. Palliative care eases these problems. During the illness, the patient and the family may face stress that can cause anxiety, depression, hopelessness, and fear. The family may also find taking care of the patient challenging due to commitments such as jobs. To cater to this, palliative cares provides counseling, family meetings, supports groups and can also make referrals to mental health care. 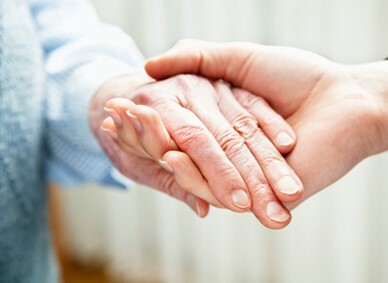 To cater to practical problems such as legal issues, insurance questions, or money and job-related problems, palliative care can provide legal and financial counseling to help the family to understand various treatment options and explain complex medical forms.